A solitary Jack Green strike proved the difference for Hakoah Sydney City East against Sutherland Sharks in a tight encounter at Seymour Shaw on Saturday night. In an end-to-end contest that could well have produced more goals, both sides were at times wasteful in the final third. The defining moment of the night arrived six minutes into the second half as Hakoah fullback Jack Green won the ball back on halfway and marauded into the Sharks’ penalty area, before lashing home a thunderous half-volley at the front post. Whilst the hosts tried as they might to conjure a response, they were repeatedly denied thanks to an outstanding display from their former shot-stopper Ryan Norval. The result signaled a turnaround in fortunes for both clubs: the hosts were ultimately unable to replicate the form that saw them topple reigning premiers Sydney Olympic last time out, while Hakoah recorded their first victory of the campaign following a disappointing Round 1 display against Sydney FC. The soggy surface played its part in a frantic opening to the match, as both sides struggled to take a stranglehold of possession. Amaury Gauthier sent out an early warning shot to the visitors 3 minutes in, finding himself on the end of a cross only to flick the ball over the bar. The Sharks immediately fired back, as skipper Marc Warren’s shot from distance flew wide of the mark. This high-intensity end-to-end cycle would set the tone for the remainder of the 90 minutes. Alexander Lopez was instrumental for the hosts during the opening period, engineering a couple of clear openings on the half-hour mark that were comfortably denied by Norval. The best chance of the period arrived courtesy of a Marc Warren set piece that was nodded goalward by Patrick O’Shea 38 minutes. Norval was again up to the task, pulling off an admirable stop from close range. Despite the considerable array of attacking talent on display at Seymour Shaw, a defender’s moment of brilliance would ultimately split the two sides. Hakoah left-back Jack Green rose high to win the ball in centre-field, before proceeding to join his side’s attack. Following some deft combination play involving Gauthier and Taka Noji, Green found himself free in the six-yard box, allowing for him to produce a driven finish at the near post that any striker would be proud of. Following Green’s opener, there was a period of one-way traffic which saw the hosts create a raft of goal scoring opportunities as they toiled for an equaliser. The pick of the bunch occurred after 63 minutes, as Juan Romero capitalised on a long-ball from his goalkeeper Anthony Bouzanis to find himself one-on-one with the Norvel. However as he would reinforce with late saves denying substitute Lachlan Everett and Marc Warren, that man Norvel made it clear that he would not be beaten on the night, palming the ball away to safety. Hakoah almost added a consolation goal on the brink of stoppage time, but this time Anthony Bouzanis was up to the task, as he parried away substitute Harry Jones’ well-struck effort. “We knew it was going to be a battle,” Bouzanis reflected. “Hakoah never shy away from anyone. “We did have a few chances, we didn’t take them, but it’s still early in the season and we keep going. “We can’t really be too upset about the loss. On the other hand, Gavin Rae praised his side’s output, encouraging more of the same over the course of the season. “I was really happy with how the boys played, and the application they showed,” the former Scottish international said. “Especially the way we kept the ball and tried to play football – and also to get a clean sheet and the win. “I told the lads after the game that there is much more of the same coming. “We know that every game is going to be tough and a battle but if we play like how I believe we can play, and know we can play, it could be an enjoyable season.  Rae’s outfit will look to deliver exactly that when they travel Ilinden Sports Centre and face Rockdale City Suns next Saturday, whilst Sutherland evidently look forward to a chance to regain their clinical touch as they host APIA Leichhardt on Saturday night. Hakoah Sydney City East: 39. Ryan Norval, 2. Connor Shaddock, 3. James Coombes, 6. Dominic Cox, 7. Addison Sayan, 9. Shohei Okuno (16. Christian Tomanovski 67’), 10. Nathan Roberts (17. Harry Jones 76’), 11. Jack Green, 13. Robert Ezekiel, 24. Amaury Gauthier, 60 Taka Noji.